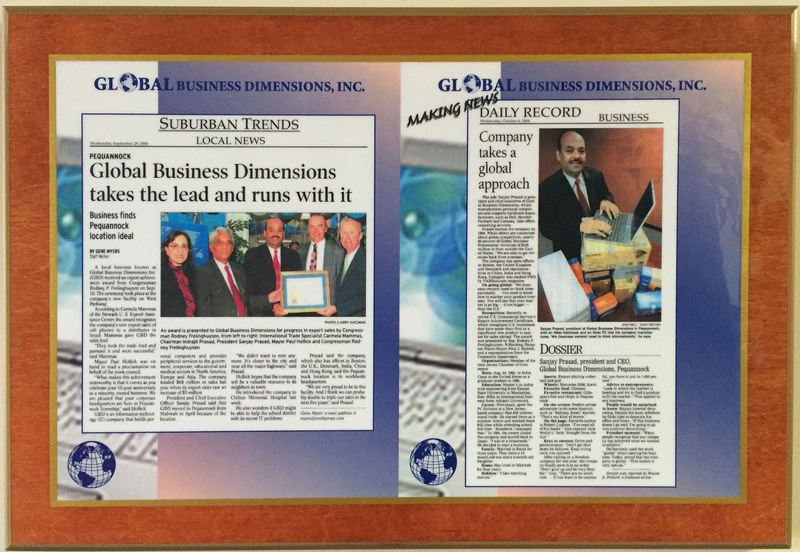 At Global Business Dimensions Inc. we are quite excited about the latest developments in our organization. We feel privileged to share the same with our business associates, customers and members of the press. In case you have any further clarifications, please feel free to get in touch with us. 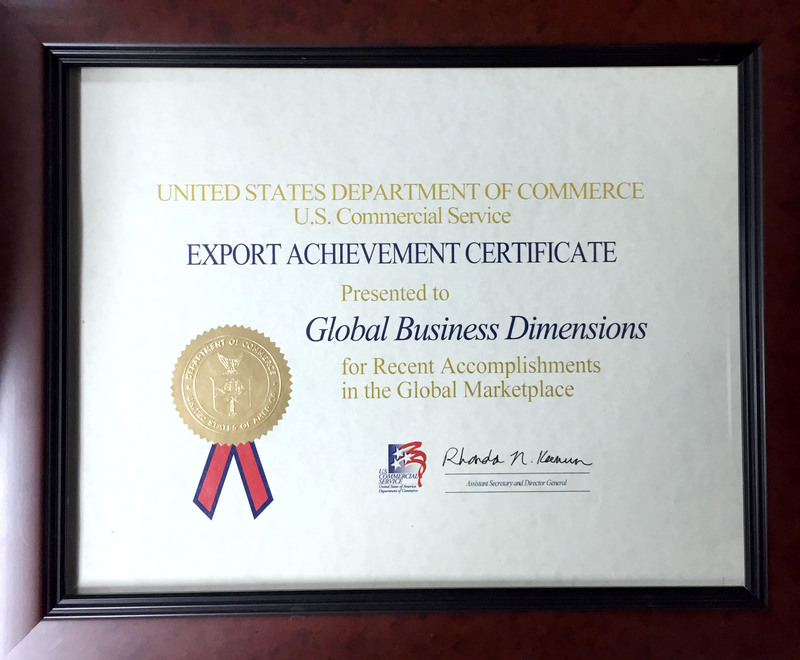 The US Department of Commerce recognized Global BD Inc for its outstanding export market expansion by awarding the company the DOC Export Achievement Certificate. 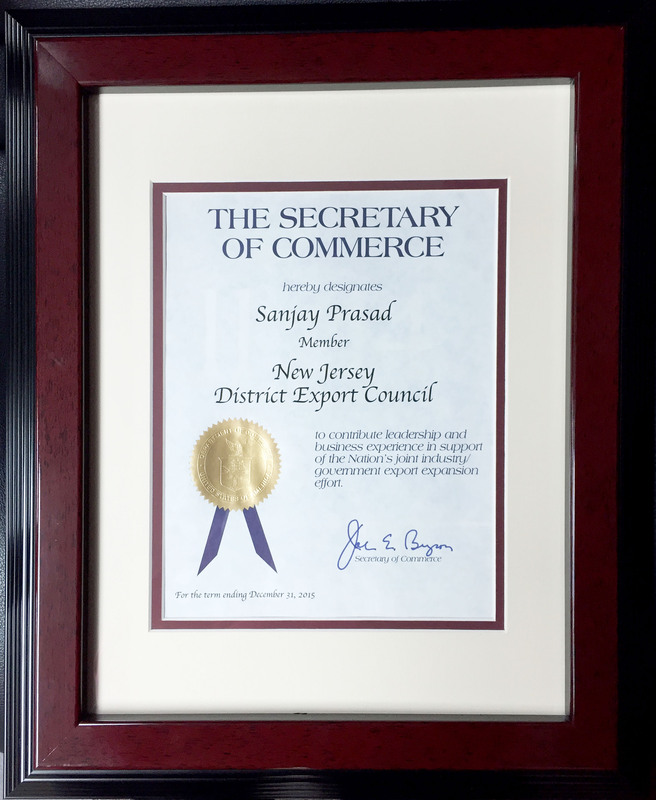 9001:2000 Certification requires that every aspect of our internal process meet quality and performance standards set up by the International Standards Organization. Organizations holding ISO rating are recognized globally as being industry leaders that are committed to delivering products and services that consistently exceed customer expectations.